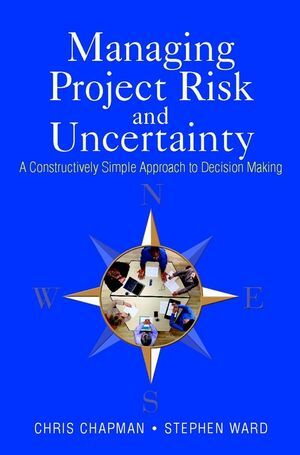 Building on the thinking of Project Risk Management, this book puts forward a practical, new approach to decision making in an uncertain business world. Many variables are accounted for and the authors are innovative in integrating previous decision-making approaches with a more fluid, and therefore realistic, model that can be applied across a wide range of contexts and decisions. Practical yet rigorous, it is ideal for students and professionals alike. CHRIS CHAPMAN is a Professor of Management Science in the School of Management of the University of Southampton. He was the founding chair of the Association for Project Management Specific Interest Group on Project Risk Management. He is a past president of the Operational Research Society and the current chair of the Committee of Professors in Operational Research. He is an Honorary Fellow of the Institute of Actuaries. For more than 25 years his research interest has focused on risk and uncertainty management. Much of his research is consultancy based, giving him a broad spectrum of practical experience across a wide range of organizations, which he combines with a thorough conceptual understanding from which to write. He has authored and co-authored six books and more than 50 refereed papers. His books include Management for Engineers (Wiley 1987), Risk Analysis for Large Projects: Models, Methods and Cases (Wiley 1987) and Project Risk Management: Processes, Techniques and Insights (Wiley, 1997). STEPHEN WARD is a Senior Lecturer in the School of Management of the University of Southampton. He too combines his academic role with consultancy projects, and has published widely, including contributions to Management for Engineers (Wiley 1987) and joint authorship of Project Risk Management: Processes, Techniques and Insights (Wiley, 1997). He is the founding director of Southampton's MSc in Risk Management.